The city of Kitchener is located approximately 100km west of Toronto in the Grand River Valley. It is the largest city situated along the Grand River. The city of Waterloo, on the other hand, is located in the heart of Canada’s Technology triangle. The Kitchener-Waterloo region houses a diverse community whose quality of life is enhanced by the teeming arts and culture centres, heritage scenes, outdoor recreation opportunities, parks and trails and facilities available in the vibrant urban landscape. The area has over 304 parks, 115 playgrounds, 14 community centres, nine icepads and more areas for sports and entertainment. It truly is an area which has everything for everyone. Biodiversity in this region is just as rich. As with the rest of the regions in Ontario, the Kitchener Waterloo region is no stranger to wildlife interaction. People and wildlife in the area have learned to live side by side. Big game, small mammals, birds, reptiles, amphibians and even insects are important and provide ecological balance that benefits all residents in the community. As such, Kitchener wildlife control is important to homeowners and businesses in the area in order to protect their property.. Wildlife prevalent in the area include raccoons, skunks, squirrels, mice, birds and foxes . 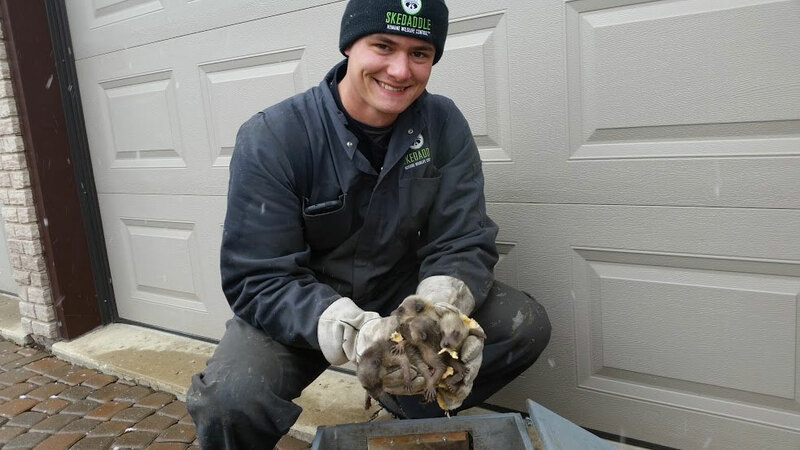 Kitchener is one of the many cities where our company sees a large bat population in the summer months living within the walls and attics of residential homes. Humane Kitchener wildlife control is the recommended approach when dealing with wildlife. Other than being governed by the Ontario Society for the Prevention of Cruelty to Animals Act, R.S.O., 1990, Chap. O.36, the wildlife in the area offer benefits such as insect control (by bats). While most residents of the area have found it easy to live harmoniously with the wildlife of Kitchener and Waterloo region, conflicts can arise when they encroach on wildlife habitat or when wildlife decide to make their home in residential or commercial areas and cause property damage or endanger health and safety of residents. 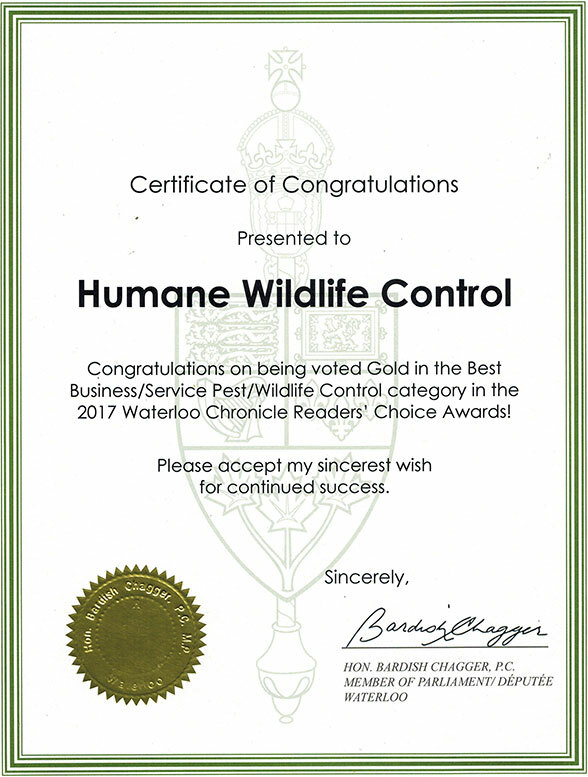 With the work we do residentially and commercially, Skedaddle Humane Wildlife Control is also a proud supporter of the Kitchener/Waterloo Humane Society, as well as the nearby Cambridge & District Humane Society. We conduct education seminars about urban wildlife, and attend events throughout the year.